The fishhook holds great cultural and historical significance for the Caribbean people. 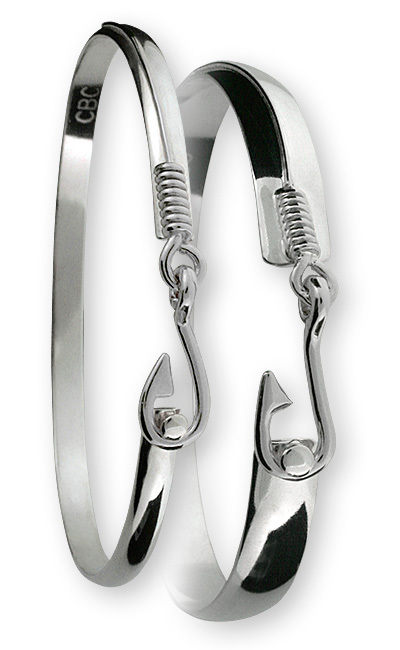 This design is the Caribbean style of fishhook, and it signifies safety over water. This very unique bracelet displays an unexpected mix of mediums. These are made of sterling silver with a sterling silver hook and wrap. This very striking, yet understated look appeals to men and women alike and is available in 4mm and 8mm widths.